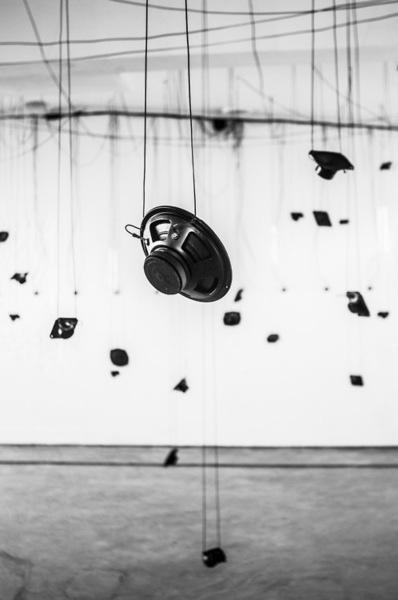 During LAK festival 2013 our space will be given over to a sound installation by Christian Skjødt. Vibrant Disturbance II is a study of the relationship between light and shadow, where autonomous circuitry translates the intensity of light into sound. Throughout the exhibition space this responsive environment is affected by the inflow of light, primarily due to the weather conditions of the particular day as well as the seasonal changes. On a minor scale the mere presence of the human body is also an influence, via the shadows and changes of light (interference) that the body naturally will produce in the space. During the exhibition period the installation and experience will therefore be constantly changing, whereby the piece also, over several visits, invites to a discussion about remembrance of memories in space and time.